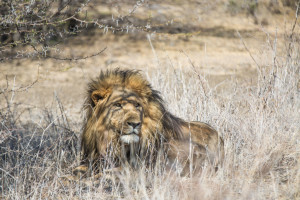 With a large variety of mammals and over 300 bird species, Madikwe Game Reserve is the ideal location to experience a true African safari. Situated along the Botswana border, Madikwe is 75,000 hectares of malaria-free reserve notable for its community upliftment programs and preservation of Africa’s wildlife. 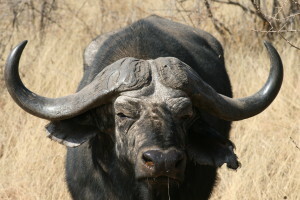 In the west of the Madikwe Game Reserve lies the Royal Madikwe Luxury Safari Lodge. This unique African gem was purchased by Dr. Chai Patel and his family in 2004, and boasts an elegant, yet comfortable environment suited for families and children of all ages. Dr. Chai Patel was first born in Uganda and moved with his family to stay in the UK; but just as any other African at heart, he knew that one day he would return. Highly recognised, the Royal Madikwe Luxury Safari Lodge has been awarded “World Luxury Hotel Awards” for 2010, 2011 and 2013. The lodge carries a strong emphasis on creating unforgettable experiences and caters for the whole family. 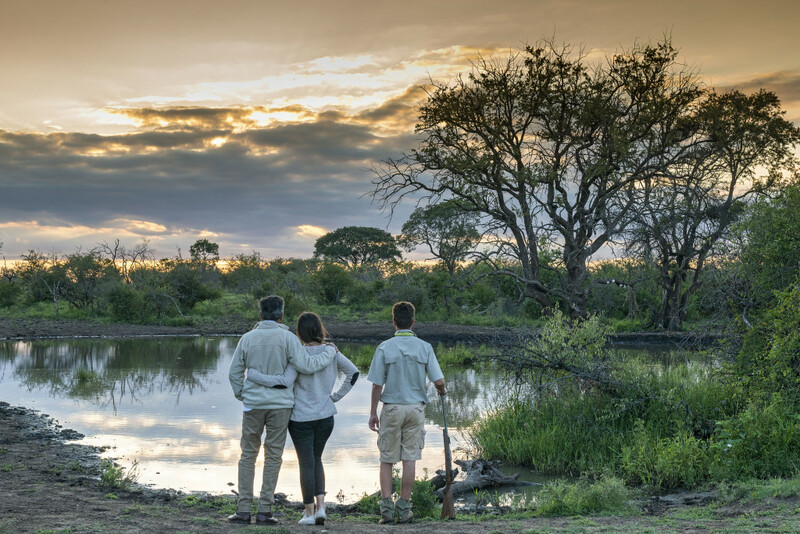 Children of all ages will be well taken care of as Royal Madikwe provides a special Kids Club which includes: bush baking, animal tracking at the watering-hole, African beading lessons, game drives with storytelling and other exciting activities. 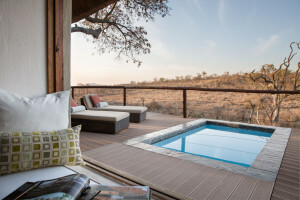 While the kids are being entertained, parents and honeymooners will also be spoilt for choice with Game drives, expertly guided bush walks, African drumming lessons, Zulu dancing and Star Gazing – a few of the many opportunities to experience at Royal Madikwe Safari Lodge. 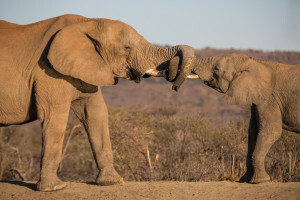 Royal Madikwe is the ideal location for exceptional “Big Five” viewing, and guests are almost guaranteed sightings of Elephant, Leopard, Lion, Buffalo and Rhino. The highly endangered African Wild Dog or Painted Wolf was introduced to the Madikwe Reserve in 1994, and has since populated into three different hunting packs, increasing your chances of seeing this fascinating animal. 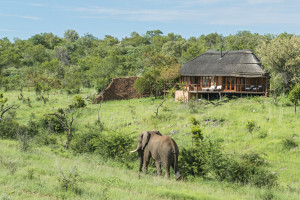 The lodge accommodates 14 guests in 3 Luxury Suites, the Royal Villa and the Emperor Suite. 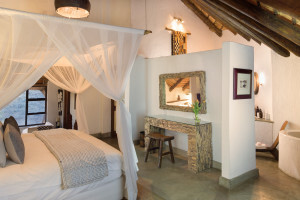 Villas and Suites include: deluxe king size four poster beds adorned by mosquito nets, indoor/outdoor showers, en-suit bathrooms, and viewing deck with immaculate views over-looking the Madikwe Game Reserve, or watering hole. 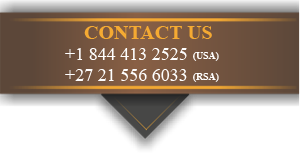 For a more intimate family getaway, or for smaller groups, Royal Madikwe Luxury Safari Lodge also offers the exclusive use of a whole lodge.